We believe a parent’s involvement in a child’s education is vital to the child’s success, so we encourage all parents to participate in Roselawn Elementary’s PTO program. 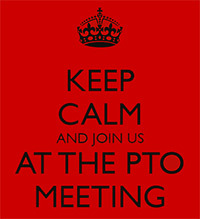 The PTO meets during the second Tuesday of the every month at 12:30 p.m. in the conference room. Please stop by to learn how you can become more involved in making Roselawn Elementary a positive place for your child.